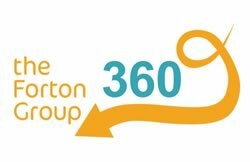 Forton's my360plus combines objective effectiveness of traditional processes with the low-cost, labour-efficiency of the 360 feedback system. Our proven, easy approach can help your people have great conversations about their development and performance. Feedback reports gives tailored coaching comments and suggestions for development. Individuals manage their own progress and connect more effectively with their coach. Personal feedback is provided through coaches trained and accredited in my360plus. my360plus allows users to share their development goal with their network to receive direct, focused feedback to support their ongoing development from their raters and peers. Goals can be tracked as they are being achieved.